This is your last chance to check out this year's Bright Lights Festival. 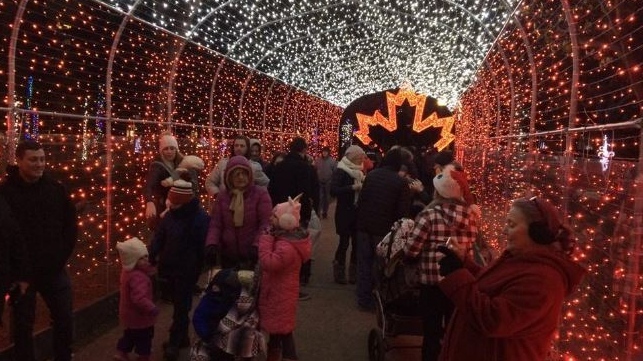 The festival wraps up Sunday, January 6 at Jackson Park from 5:30 p.m. to 10 p.m.
Officials say roughly a thousand people check out the lights throughout the week and upwards of 6,000 people visit the park on Friday, Saturday and Sunday evenings. More than 60,000 people visited the inaugural festival last year. Final attendance figures for this year won't be known until the event is over but it is expected records will be broken. It costs the city $1.5-million to run the month long festival which is free for people to attend. New this year was a train, food vendors and local artisans and it tripled in size compared to last year.